Francis’ Overhaul of Female Contemplative Life by Marian T. Horvat, Ph.D.
As noted in my last article, the new set of guidelines of Vultum Dei Quaerere (VDQ) directed to the 4,000 contemplative communities of women around the world calls them to implement changes that will better insert them into the modern world following the spirit of Vatican II. Another more detailed legislative text is yet to be issued, but VDQ gives some ground rules that show the progressivist direction Francis intends the nuns to take. A review of mission, a revision in rules and participation in liturgy are mandated for each institution, as well as a change in emphasis in prayer, which will affect those communities still resisting the post-Vatican II social agenda: The focus must be on marginalized and persecuted people. Many of the contemplative institutions have already undergone a “self-discernment” and altered their rules to either partially or totally eliminate cloister life. Such communities have also already found “ways to involve the local church more” and allow their nuns to “participate in its life,” as VDQ mandates (art. 6, §1, art. 8 §1). 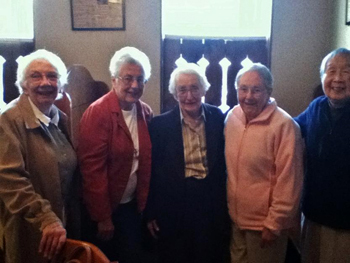 An external ongoing formation is requested for sisters to better understand the post-Vatican II Church and to reinvigorate their communities, pouring new wine into old wineskins. 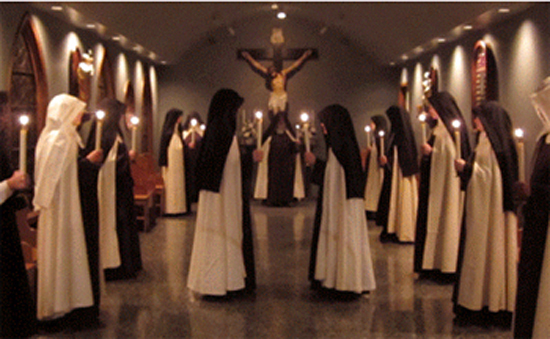 To this end, “sisters charged with the sensitive task of formation” should attend “specific courses on formation outside their monastery.” This break with strict cloister is, of course, an invitation to others, which, as noted above, have already been installed in the more progressivist contemplative communities. VDQ also mandates that even chapels under papal enclosure be opened to both men and women for Eucharistic adoration: Each monastery “is to set aside appropriate times for Eucharistic adoration, also inviting the faithful of the local Church to take part.” For the communities of strict cloister life, here is another departure from their rules. 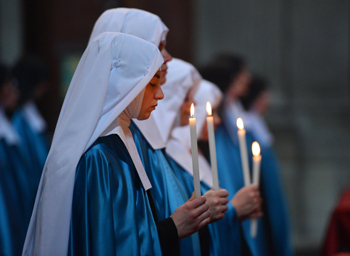 We have seen the disastrous results of the “liberation” of sisters in regular religious orders after Vatican II. Now, VDQ calls for that process to begin for the contemplatives who still live in complete silence and strict obedience, asking permission for even the smallest items or change in routine. So, after the contemplatives have broken cloister life for formation classes, begun to share their spiritual experiences and feelings, and allowed the laity to join them in Eucharistic adoration, they are ready to start their outreach programs. We have yet to see what exactly this “outreach” will be in the rules to be issued by the Congregation for Institutes of Consecrated Life. The most conspicuous element of VDQ is its centralizing intent. The document mandates that every community join “federations” to be governed by Presidents and Councils chosen by the Congregation for Institutes of Consecrated Life. (art. 9 §3) These new federations will redirect authority from independent, autonomous religious communities back to Rome. An article clearly states that “all monasteries are to be part of a federation.” (art. 9 §1) Only the Holy See itself can give an exemption, after careful study by a "competent authority." 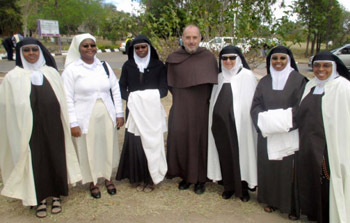 Up until now, the convents that were striving to avoid the Vatican II adaptations to the modern world found ways and means to form their own mother houses autonomous from the major orders like the Franciscans, Dominicans or Benedictines that have followed the progressivist road. This will no longer be possible, as VDQ specifically notes that the federation is “an important structure of communion” to ensure that communities not “remain isolated.” In effect, it will become impossible for upstart traditionalist institutions to sprout and take root. To ensure the sisters are receiving a uniform formation, VDQ instructs that monasteries “should promote common houses for initial formation.” This provision also does not bode well for contemplative communities whose identity relies on a pre-Vatican II formation. The specific norms have yet to be issued by the Congregation's head Cardinal Aviz, who has repeatedly stated his objective that all religious embrace the spirit of Vatican II. VDQ professes to be very concerned about the “genuine automony of life” of each contemplative community. To ensure it, however, it places restrictions that will close many convents. It mandates that a minimal number of sisters is required (art. 8); further, the majority “must not be elderly.” This alone will close many contemplative convents. To deal with the influx of postulants from India, the Philippines and some countries of Africa, VDQ makes another requirement: “The recruiting of candidates from other countries with the sole purpose of establishing their own monastery must be absolutely avoided.” (art. 4 §1) This will affect many communities that draw postulants from other countries. It seems that something similar is taking place with the document Vultum Dei Quaerere. Most of the 4,000 contemplative communities have already compromised their cloister life and have accommodated to the modern world. Some contemplatives have even left their habits and adopted New Age-style programs. VDQ will have little to no effect on these waning institutions that no longer attract the youth. No, this document is being sent out to round up those stray conservative contemplative convents that still try to follow the pre-Vatican II norms and the original rules of their founders and bring them into the progressivist fold. 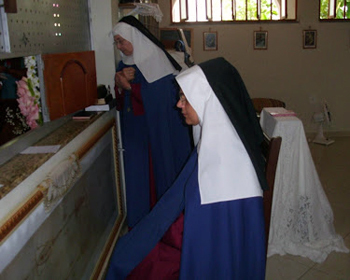 These stray convents, far from having declining numbers and a geriatric population, are filling with pious, dedicated young women who want to give glory to God through their prayer and offer their lives as victim souls for the conversion of sinners. To achieve this destructive goal, Francis has issued VDQ to round up the last of the strays and bring them into the Vatican II religious fold, which, as anyone who has read the Collection on Vatican II by Atila Guimarães knows, is essentially a whole different Church. 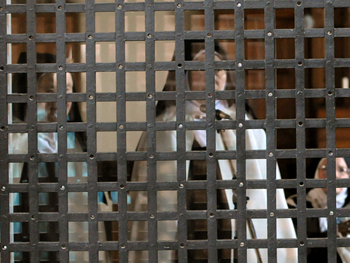 Convent Prisons - How Did They Work?